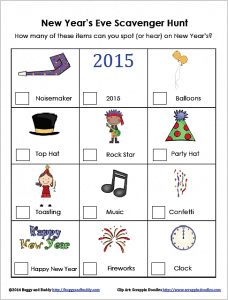 Here’s one New Year’s Eve activity for kids that requires no prep at all- our New Year’s Eve Scavenger Hunt! 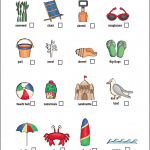 Just print out this colorful free printable, grab a pencil, and your’e ready to go. 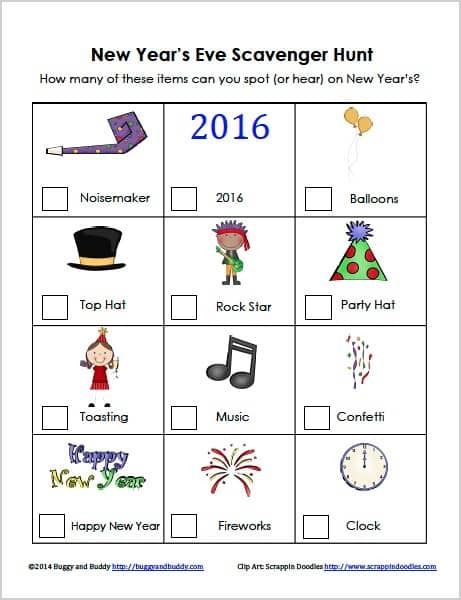 Your child will have all kinds of fun trying to spot these 12 items at home or on the television on New Year’s Eve! 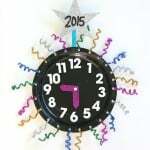 This post was originally published on December 23, 2o14 and has been updated for 2016! 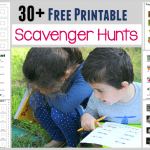 My kids always love scavenger hunts (like our outdoor scavenger hunt and our beach scavenger hunt) so I decided to make another fun scavenger hunt printable– this time for New Year’s Eve. 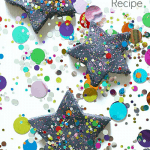 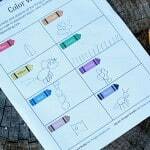 Whether you’re at a party or welcoming the new year at home with a New Year’s Eve celebration on the television, your kids will have fun searching for the twelve celebration-themed items on the printable. 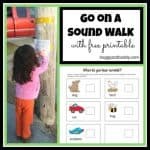 All you need to do is print out the free scavenger hunt printable and grab a pencil or crayon, and you’re all set! 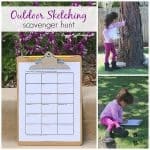 The kids love scavenger hunts! 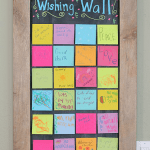 What a fun idea for New Year’s!